Planning for carol services and other Christmas events is well under way – look out for our annual invitation being delivered around the local Blackfen and Sidcup area in the next week or two. 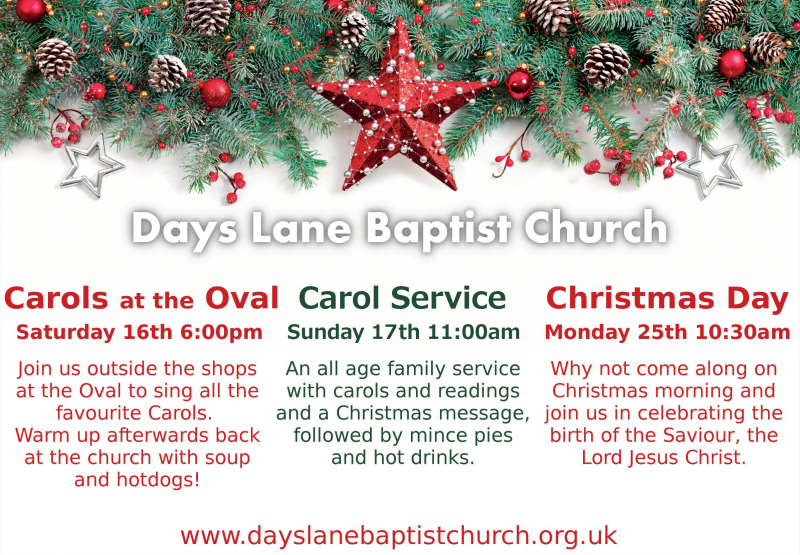 You may also see posters in local shops and particularly around the Oval, where our first carol service takes place on the evening of Saturday 16th. Don’t miss it! There are also special services scheduled for the Toddler group and Women’s fellowship, as well as the Kids Club and Sunday School Christmas party! We’ve crammed as many details as we can onto the website, but if there is anything missing or if you want any more details just drop us a message.